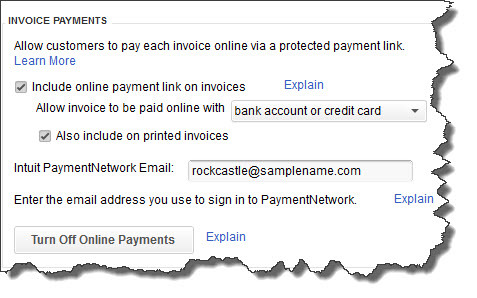 Part of being proactive with your accounts receivable is being vigilant and informed. Create and customize A/R reports regularly. When you customize your A/R Aging Detail report, for example, in addition to the other columns that you include, be sure that Terms, Due Date, Bill Date, Aging and Open Balance are turned on (clickCustomize Report | Display and click in front of each column label). Invoices are generally the preferred way to bill your customers, but you should consider sending statements in addition when customers have outstanding balances past a certain date. QuickBooks sometimes calls thesereminder statements. You’re not providing the recipients with any new information; you’re simply sending a kind of report that lists all invoices sent, credit memos and payment received.